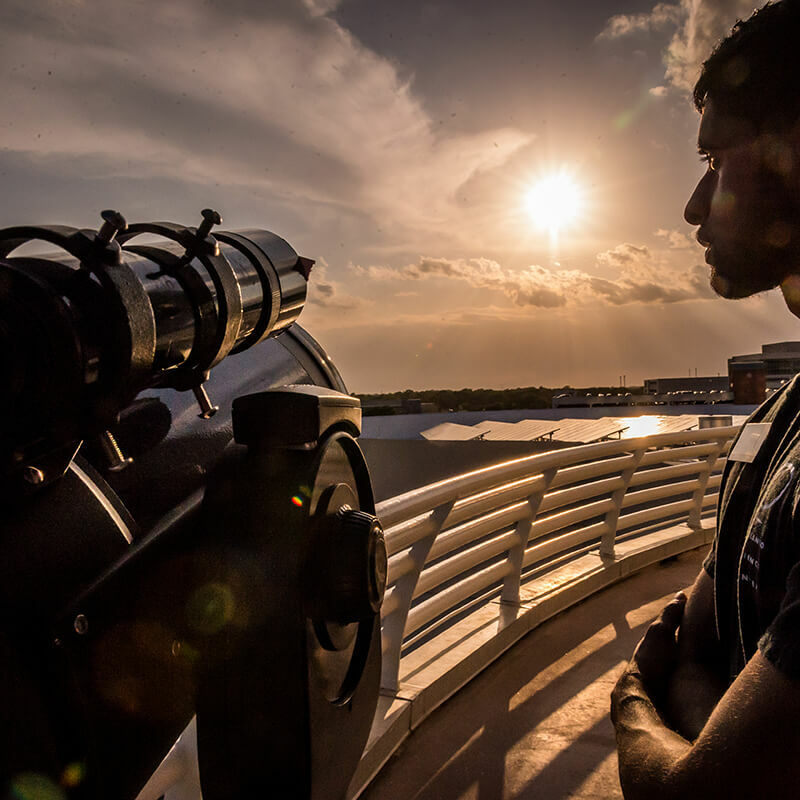 Atop Orlando Science Center sits a domed observatory that, if visited during the right time of year and under the proper conditions, can provide views of planets, stars, and other celestial objects. View the four moons of Jupiter, the rings of Saturn and deep sky objects such as galaxies, nebulas, and binary star systems! 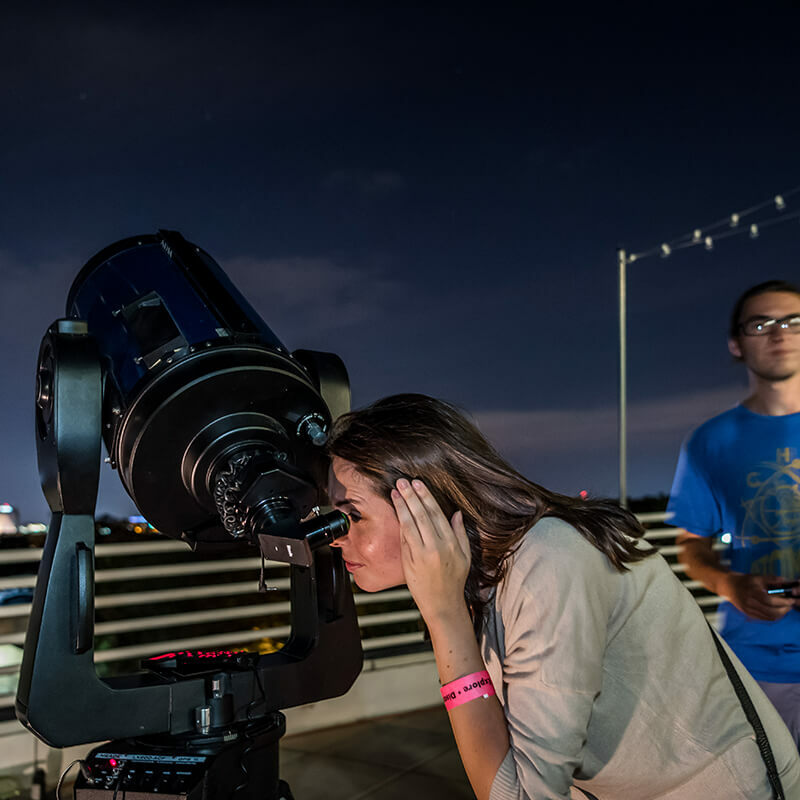 View the breathtaking night sky, brilliant sun, and even bustling downtown Orlando area from the powerful, 10-inch lens of the refractor telescope along with several smaller scopes. All activities and events in the Observatory are weather-permitting. Observatory hours are subject to change based on weather conditions in the area. 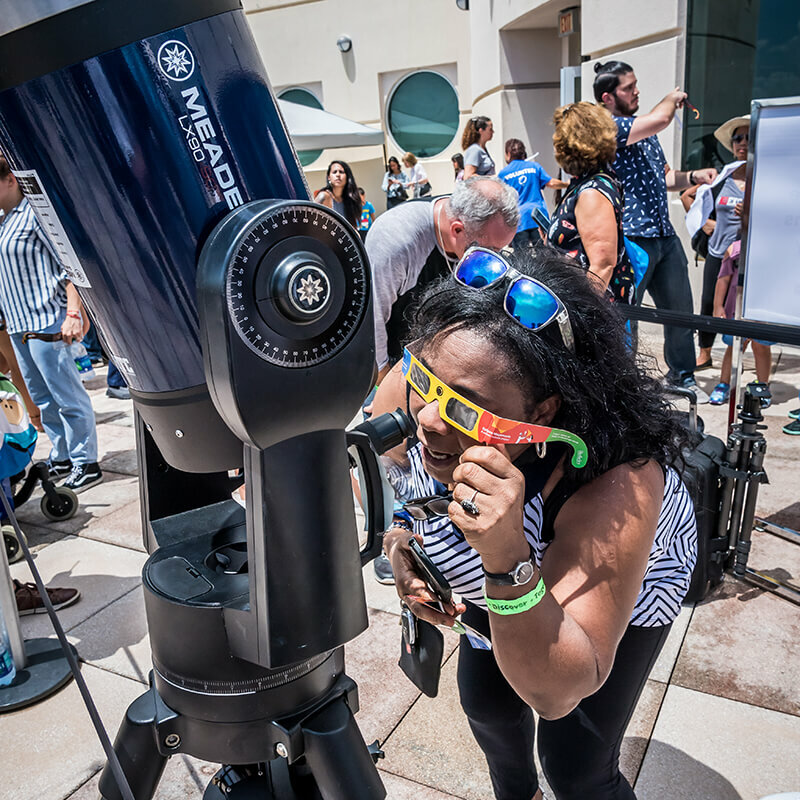 Second Saturday of the Month, 3:00 – 5:00 p.m.
Get a more in-depth look at the closest star to the Earth — our sun! After checking out the sun, learn about the telescopes that let us explore the solar system. Please remember that observing outer space requires good weather here on Earth. 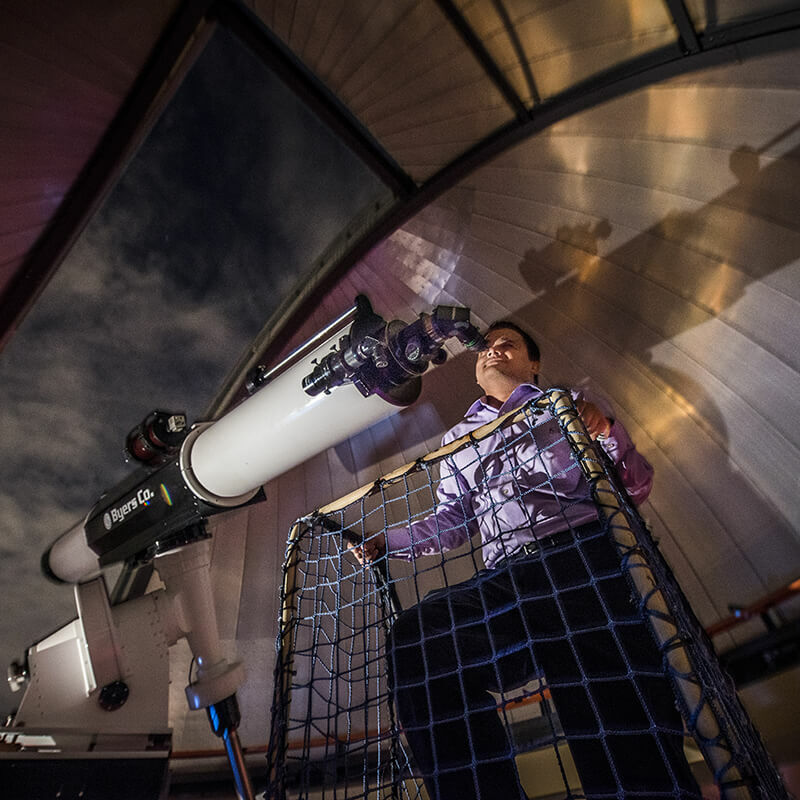 Peer into the cosmos at Star-Studded Evenings with the Crosby Observatory's 10″ Byers refracting telescope for an out-of-this world view of various celestial objects. Winter time brings cooler weather, early sunset and recognizable constellations like Orion, Taurus and Cassiopeia. An “adult swim” of the science variety, this event features everything you love about the Science Center… without kids! Experience all four floors of exhibits, films and hands-on programming aimed specifically for grown-ups, while enjoying adult food and beverages available for purchase. 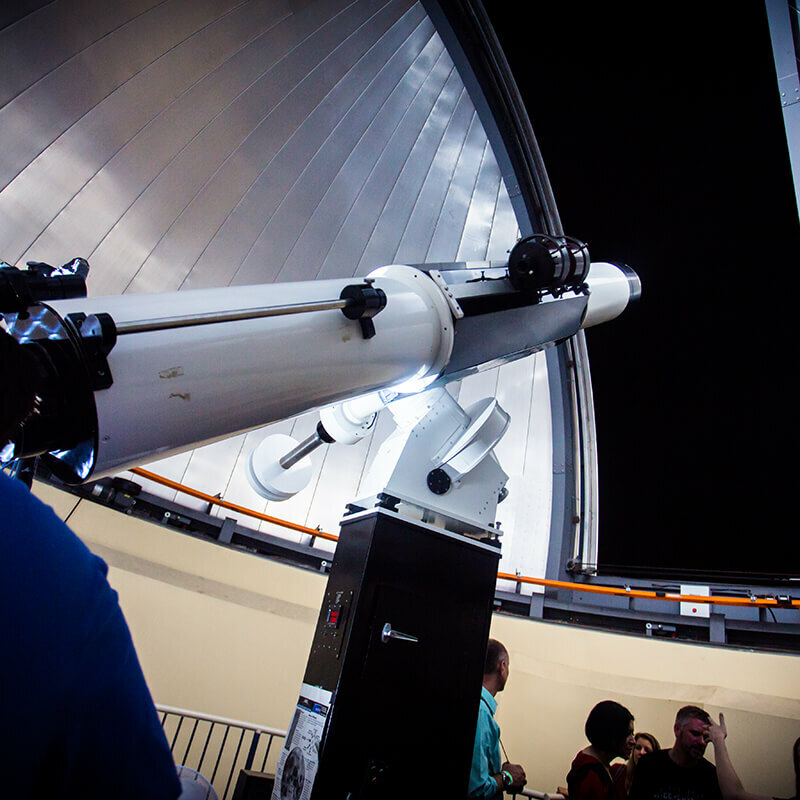 Orlando Science Center’s observatory can be booked for exclusive viewing experiences for private parties. Give a gift that really shines! If you are seeking a unique and meaningful gift idea that supports a cause, consider adopting a star in a loved one’s name. Each of the stars in our Adopt-A-Star Program is considered a “bright” star and all of them are visible from the OSC’s observatory at some point throughout the year. Interested in joining a local astronomy group? Check out the Central Florida Astronomical Society. CFAS activities include monthly meetings featuring guest speakers, monthly observing sessions at several sites across Central Florida, publication of a web information site, and public observing sessions when events of significant interest occur. For more information, visit their site at www.cfas.org.